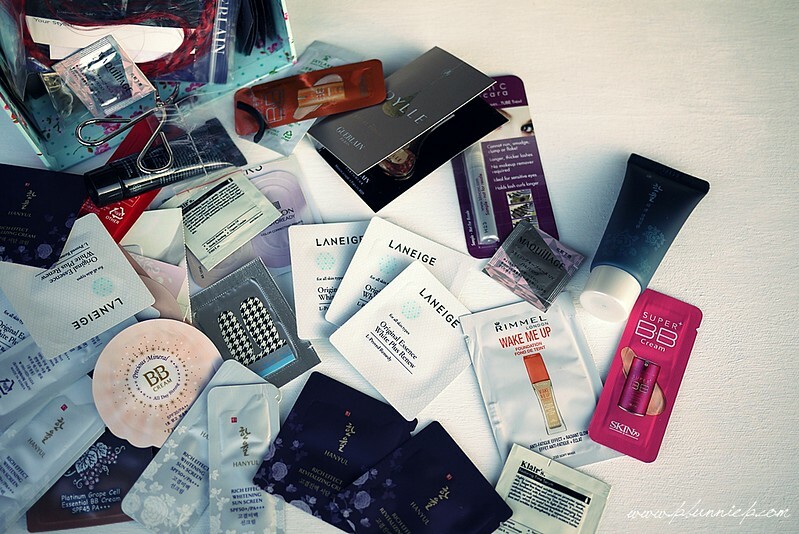 Ahhh... nothing adds a big of extra happiness to your beauty purchases like that little sample they throw in your bag. A cute little vial of perfume. 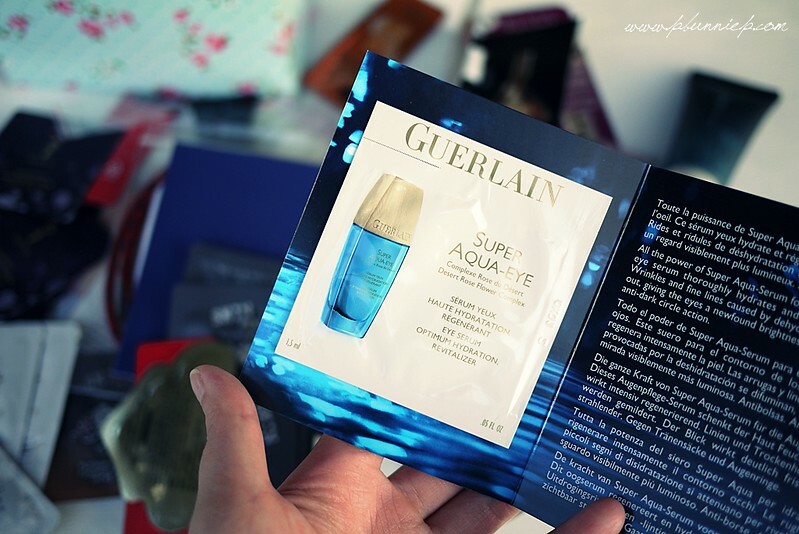 An sachet of that expensive face cream. You scoop it up carefully like a little squirrel carrying a precious winter berry and add it to your growing stash....so now what? I'm sure this happens to most of us, you responsibly store away your beauty samples telling yourself that it's going to come in handy for travel or use on a day that you've unexpectedly ran out of other things. I do the exact same thing...except that I usually never bring "new" products on a trip in case my skin reacts badly and since I always have my eye on the next new product to try I am also rarely without a certain crucial product in my daily regime. Where does that leave my sample stash box? Over flowing and quite unloved. "It's not that I don't like you, all you preciously little packets of mysterious and (often) expensive things... I just want it to be the right time. I want to open you up when I need you." The prospect of using a sample sometimes makes me weary. What if I fall in love with something I can't afford? I'll be lusting after it every sleepless night and wander around like a heartbroken love bird. Having a stash of multiple samples is always nice, especially when it comes to skincare so I can have bit of time to let me skin make up it's mind. There have also been times I've been curious about a product and just ordered a handful of samples which were extremely helpful to test out textures and colours. And let me tell you, sometime they turn out well...and other times.... let's just say thank goodness I didn't buy the full size! But what about those small single package samples? Take those eye creams for example, it's just too much for one application and so I end up having to leave the sample open until I use it again the next night. Annoyingly this not only makes the product dry out faster but also makes me feel terribly unsanitary. Other times, a single sample is quite literally for one time use but then again how do I know I wasn't just fooled by a one night stand? As of late, I've been making a real effort to use and work through my sample box, something I never thought I would need to do. With the habit of keeping everything together in a neat little box, I often forget exactly what I have in there after all from long lost bb creams I've ordered to perfume vials I've been saving up for special dates which are slowly but surely evaporating out of the tube. So with today's parting words, I challenge you to go through your sample stash and pick out one thing you're going to pop open tonight and enjoy because really...that specially "occasion" you're saving that sample for is likely just in your imagination. How do you oraganize and keep your sample stash under control? Do you eager open them immediately or are you a saver like me? I think I have just as many samples like you! At the beginning I just stored them and tried to use one from time to time. By now I have gotten the habit of collecting them until I have multiple ones of the same sample. And only when I have multiples and it means I can try the product for a longer time I start using them, because I feel like only then can I really say whether the product works for me or not. I've been trying to do that with my Korean beauty samples, I find that they tend to all give out whatever is hot and popular the moment. For a while, I kept getting The Face Shop Smim Brightening Cream and Etude's BB-Dation. I never quite know what to do with single sample skincare though...it's like I use it once and then what? I also got many samples and never used them. Now I've made my mind to use them so when I travel I take enough samples of face moisturizer, body lotion, serum, etc, and finish them up. But I still have tons of them, specially the foundations that are way darker than my skintone T_T. Base products are confusing for me too, I feel like I'm wasting them if I don't use them (especially the high end ones) but I doubt I'm going to have a good experience because they colours just aren't right. I give those to my sister or friends who are darker then me. I rarely wait to use my samples because I know I won't use them during a travel (I never run out of products, I have a lot in my stash ^^;). I usually use lotions, serums and creams on my neck because I don't like the ingredient list (like high-end products... Full of silicone and mineral oil... No way). It's different for the cleansing oils, cleansers, shampoos, treatments... I use them when I sleep over or during a travel. Hi Bunnie. I stumbled upon your blog a few months ago and I love it! So, I nominated you for this award (The Versatile Blogger Award). 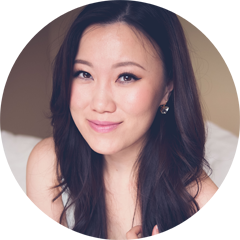 You can check it out here: http://beautifuldokidoki.blogspot.com/2013/07/the-versatile-blogger-award.html. I also stash away my samples. They're like little gems in a treasure chest that are too pretty to do anything with but look at lol but I've been trying to use at least one a week! Thank you for the kind award! I think I need a "plan" to start using up those samples. I'm sure they expire at some point as well...maybe I'll make one day of the week a "sample day". 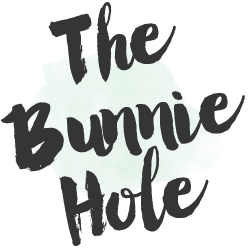 Nice post .. Would you like to follow each other on GFC and bloglovin...!! When it comes to skincare, I only tend to use samples when I'm feeling "adventurous" and / or I don't have somewhere important to go. What if I get a bad reaction overnight? I think I tend to be the kind of person who needs to do a lot of research into a product before jumping in... besides, many samples don't label the ingredients lists so that makes me hesitant as well. We need to do this together! "Project Sample Pan" sounds like something I need... I think those little innocent samples are slowly taking over my drawers and boxes, it's getting slightly ridiculous...sometimes I don't even remember when I got the sample and worry about how long they've been sitting there. I feel like I tend to easily forget about them when they're sitting neatly in a box...maybe I need to actually bring them out and just put them on the table or something. I'm usually the lightest shade in Etude products but I'm not crazy about the Precious Mineral Bright Fit...it's not a terrible match but the tone just doesn't seem right (I swatched it in my "De-stash: Base Products" post). I know quite a few people read my blog for colour / skintone matches, it just goes to show how similar many of us actually are! Oh and if you ever need a reference for my colours, I try to keep everything updated in the "MY STATS" tab at the top of the page. 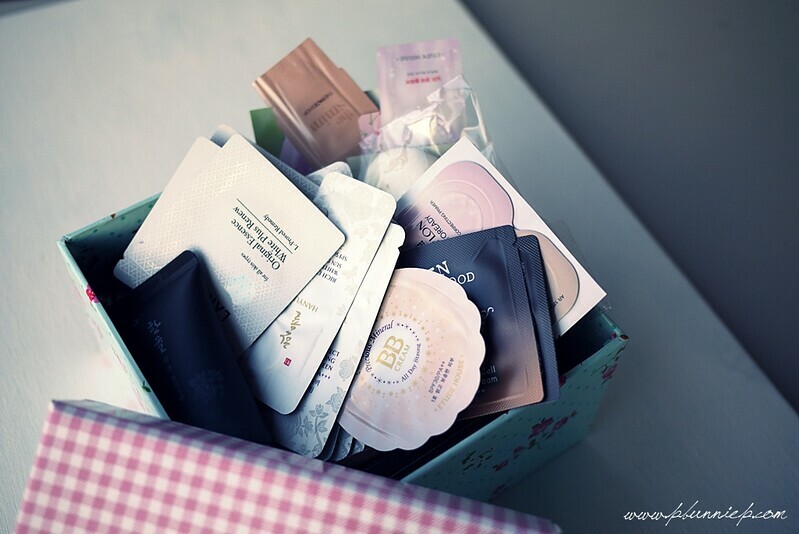 I also have many samples, but I never use them.. 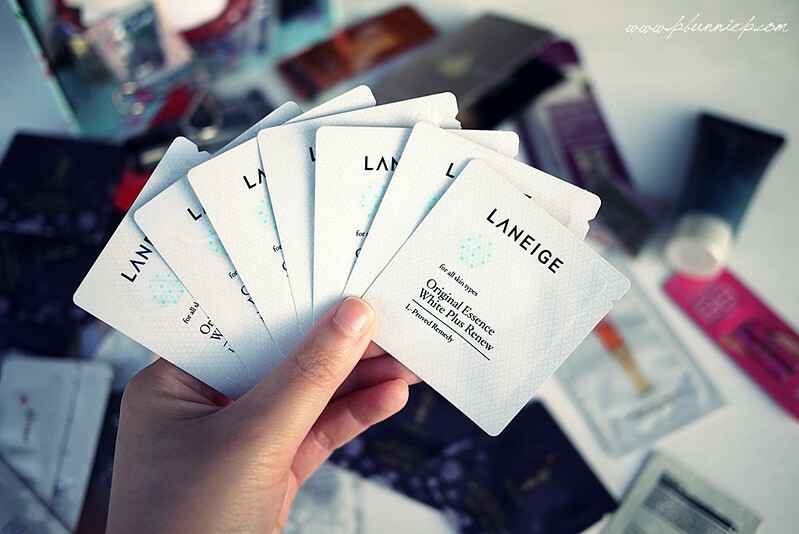 But I'd like to take them when I go traveling (and I don't have the travel size ones), the one that I always use in daily basis in samples hehehe.. I tend to just keep collecting skincare ones until I have enough that I know I'll be able to properly test it - say enough for a week. And I never ever take samples on vacation unless it's a product I already love. I don't want the hassle of finding that a product makes me break out while I'm trying to enjoy myself! I always give away samples that I know I cant or wont use, and I'm not usually impressed enough with expensive samples that I treasure them or anything. I think those little samples are nice to be given away to friends and when i really find one I'm interested in and have like 5 samples I squeeze them all out and store them in a travel sized jar. I mostly use them after I finish my regular product and before i open the new one. I do a post called "Sample Sundays" where I hold the blogging world accountable for my sample usage! Now that I sub to so many beauty boxes, my samples box is actually EIGHT boxes sorted by product type! I'm a saver just like you! I tend to hoard my samples for travel ("Just in case" I always tell myself) and then they get tossed into the sample box and forgotten. Just the past few months, I started consciously taking samples out and trying them out at home. Like you said, you never know if your skin is going to get irritated or if the colour of a makeup product really matches you, so the best time to try those out is at home. I've gotten through a good chunk of them but still have lots more to go. 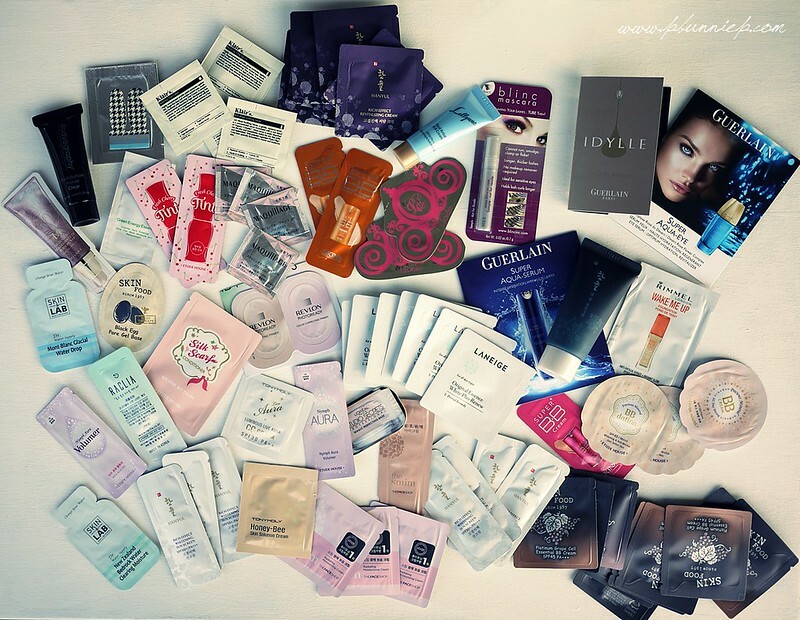 I do a monthly "Empties" post and use that as motivation to get through those sample packets so I can blog about them later.